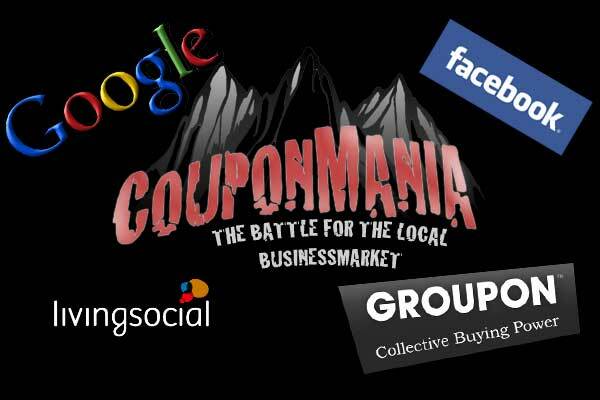 Facebook and Google takes on Groupon and livingsocial in - Couponwars! Facebook and Google takes on Groupon and livingsocial in – Couponwars! With Groupon and Livingsocial having success in the local and national coupon market, a new way for local businesses to promote themselves to a large moneysaving hungry audience, the big boys now want their share of the cake as well. Get ready for Couponwars! It was today announced that Facebook is planning their own coupon service to launch in the coming weeks. They have already partially entered the market with Facebook Places check-in to get special deals from partners, which includes for example Starbucks. This new offer is expected to be more like Groupon, giving local and national companies the opportunity to promote deals, products at a discounted rate, and coupons for consumers to buy through the site. The other giant who earlier this year started testing their own coupon style offer is Google. After failing to acquire Groupon with an offer of $6billion, Google has set their eye on the market by delivering their own service, believed to be known as Google Offers. According to an earlier Mashable article on this subject, Google was stated saying that they are currently; “communicating with small businesses to enlist their support and participation in a test of pre-paid offers/voucher program”. With Facebook entering the market with their massive amount of registered users, which they got plenty of information on to leverage this style of service. Plus Google which already operates a very successful advertising system for both national and local businesses, and has the necessary infrastructure in place to quickly reach massive number of both small businesses and audiences, can Groupon and Livingsocial fight them off in the long run? How many coupon style operators is there room for in the market? My prediction is that as soon as some of these big players makes their presence felt in this market, there is likely going to be changes happening, and i would be surprised if some of the existing operators did not get gobbled up in the process. At the same time there could be new opportunities arising for smaller niche operators. Like in any other market, there can only be that many big players, and with increased competition margins get smaller, and economies of scale takes over at the mass volume end of the market. No wonder both Groupon and Livingsocial is fighting hard to gain marketshare and recognition before the big boys make their move.